Age 3 - 5 One Yang is generated – hexagram 24 FU (Returning). The original qi (yuan qi) increases with 64 grains. The original qi increases with 64 more grains. At 24-years of age we have gained 360 grains genuine energy from Heaven and Earth. In addition, we have 24 grains ancestral (genetic) energy from mother and father. So, in total we gain 384 grains of qi in our life. 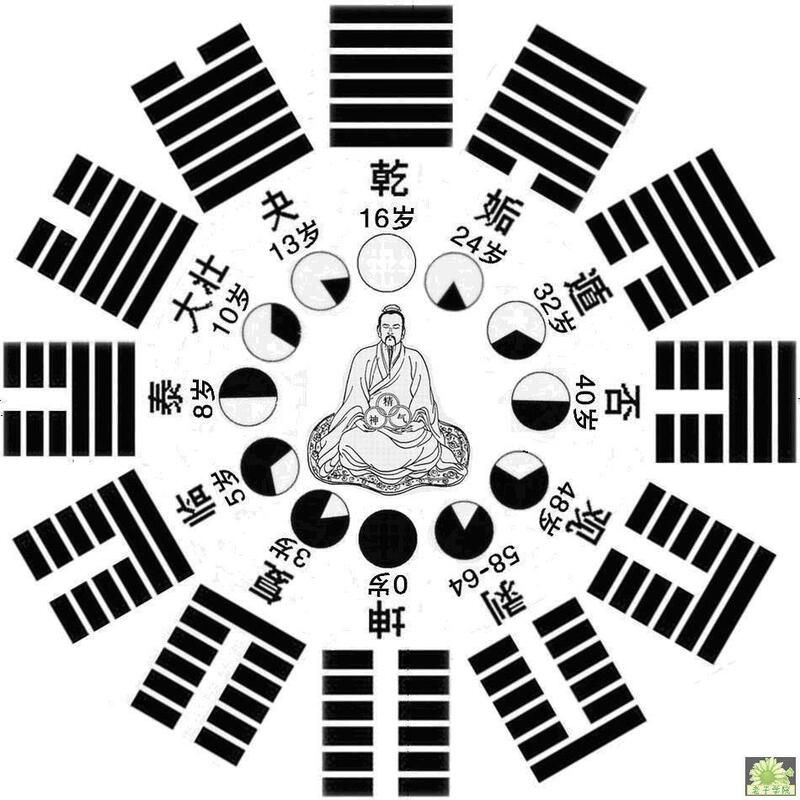 At the time of 24, pure Yang is complete, the essence (jing) and the energy (qi) are sufficient. If at this time of life one starts practicing qigong meditation, one can progress very fast and achieve great results. From age 24 onwards the original energy starts to decrease. The original qi decreases with 64 grains. The original qi decreases with 64 more grains. In the last cycle all the energy from Heaven, Earth and the parents (384 total grains of qi) has been exhausted. One cycle of the original energy is completed. If the energy is cultivated through qigong or other energy practices, then the extreme Yin will generate new Yang energy. Thus, the old can enjoy vitality and become younger.